The Amazon rainforest is one of the most important anchors for our planet's climate. Now, a new act by the Brazilian government could lead to mass deforestation. Researchers warn about a paragraph in a Brazilian forest act that could jeopardize a large chunk of the Amazon rainforest. Humanity is currently facing one of the most extreme and rapid periods of climate change in the history of our planet. The Amazon rainforest is one of the most important things protecting us from a total climate collapse. Now, new legislation by the Brazilian government may put the forest at risk. In Brazil, Jair Bolsonaro, the new president from the far-right, has earned the nickname of “Trump of the Tropics“. Bolsonaro shares similar controversial rhetoric on several topics with the U.S. president. In general, these comments largely focus on minorities, women, and environmental protection. The Brazilian president-elect is worrying the world with his regular hostile attacks on the environment. Leading up to his election, Bolsonaro declared that too many environmental-protection regulations are impeding the development of Brazil. To the dismay of indigenous populations and environmentalists, he promised to let companies commercially-exploit the Amazon. He also pledged to follow in Trump’s footsteps and withdraw Brazil from the Paris agreement. In fact, the Prime Minister he named already qualified climate change as a Marxist hoax that benefits China. This is only a drop in Bolsonaro’s bucket regarding environmental topics and experts worry for what’s to come for the world’s largest tropical forest. The Amazon rainforest is increasingly losing ground to farms and pastures. Under the new president, experts expect worse scenarios. Now, thanks to a new study, we can get an idea of the scale of the potential damage to the Brazilian rainforest that Bolsonaro presidency makes more imminent. A massive chunk of Brazil’s rainforest, up to 15 million hectares, is at risk of losing its legal protection. This is according to a study by researchers from the Chalmers University of Technology, the KTH Royal Institute of Technology, and the University of Sao Paolo. In Brazil, the Forest Act allows landowners in the Amazon to clear up to 20 percent of the forest on their property. They then have to leave the remaining 80 percent to native vegetation. 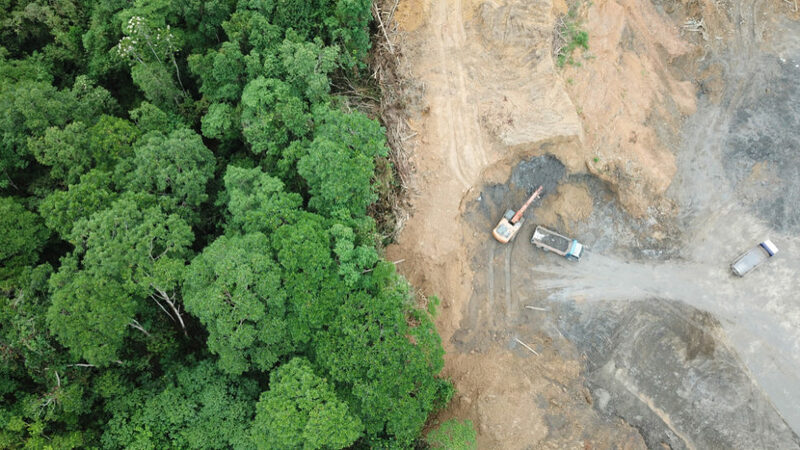 However, six years ago, a revision to the Forest Act added a paragraph that brings the percentage of deforestable lands from 20 to 50 percent in some Amazon states. It’s this paragraph in razil’s Forest Act that drew the attention of researchers and raised their concerns. What’s at stake is the world’s whole global climate. You can read the paper in the journal Nature Sustainability. Can international action, through businesses non-deforestation commitments, help the Amazon?